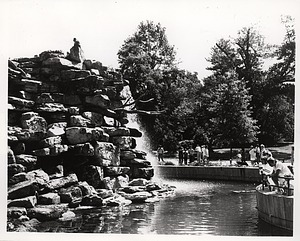 Monkey Island, a new exhibit for primates consisting of a 25-foot high bluff of natural stone bordered on three sides by water and landscaped with pine trees and aquatic plants and home to Barbary macaques, opens at the National Zoological Park. Secretary Joseph Henry issues a circular to entomologists, listing the authors of several catalogues underway for different orders of North American insects, and requesting the help of collectors to provide examples of specimens to the Smithsonian's United States National Museum for these catalogues. Groundbreaking ceremonies are held for the new Earl S. Tupper Research and Conference Center at the Smithsonian Tropical Research Institute in Panama. Ground was broken by His Excellency Don Eric Arturo Devalle, President of the Republic of Panama, and Glenn Tupper. 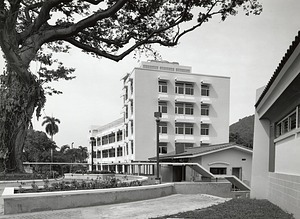 In 1985, the Tupper Foundation donated $4 million toward the center's construction. On April 4, 1969, Lampros Marines attacks the reptile display in the Malayan Exhibit of the National Museum of Natural History. Marines smashes through the glass exhibit case with a hatchet and then uses a butcher knife to decapitate the reticulated python and king cobra and stab the Komodo dragon. He is apprehended by chief of the museum's guard force, Captain Wilfred L'Abbe, who notes in a report that Marines had previously attempted to injure a large snake on display in January 1968. In the 1969 incident, Marines is charged with damage to government property and held on $5000 bond. The Golden Age of Flight exhibition gallery opens at the National Air and Space Museum. This gallery is a major exhibition devoted to aviation from 1919 to 1939. 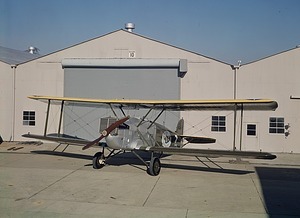 The Douglas World Cruiser Chicago is placed on exhibit in the rotunda of the Arts and Industries Building to mark the fiftieth anniversary of the first aerial circumnavigation of the globe made in 1924. It was restored by Walter R. Roderick of the Maryland Silver Hill facility. National Museum of History and Technology Director Roger Kennedy authorizes the renaming of the Division of Numismatics to the National Numismatic Collection. 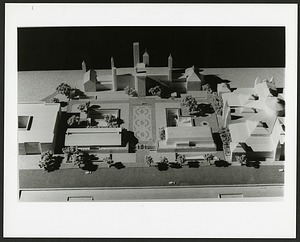 The design for the Quadrangle building prepared by Junzo Yoshimura and completed by the firm of Shepley Bulfinch Richardson and Abbot receives general approval from the Commission of Fine Arts. The Peacock Room Comes to America opens at the Freer Gallery of Art. The exhibit highlights the room's restoration back to its 1908 appearance, when Charles Lang Freer used it to display over 250 Asian ceramics. The exhibit highlights the points of contact between American and Asian Art. The Peacock Room was once the dining room in the London home of Frederick R. Leyland, a wealthy ship owner from Liverpool, England. It was originally designed by a gifted interior architect Thomas Jeckyll. In 1876, James McNeill Whistler redecorated the room to be a “harmony in blue and gold." 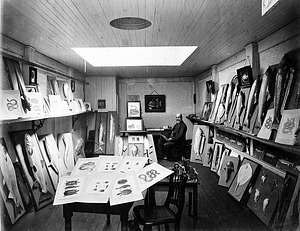 The room was purchased by Charles Lang Freer in 1904 and brought to America. 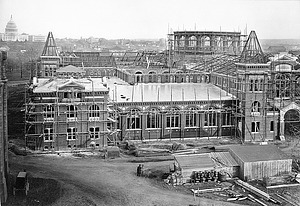 The east wing of the Smithsonian Institution Building is completed and is occupied by a lecture room, a laboratory and apparatus rooms. James Renwick, Jr., a New York architect known for his ecclesiastical designs, is the architect. By year's end, the west wing would also be completed, and plans were to house the library in the west wing until the main building was finished. Secretary S. Dillon Ripley visits Cuba and signs a memorandum of understanding which was to further cooperation between the Smithsonian and the Cuban Academy of Sciences. The agreement was also signed by acting president of the Cuban Academy of Sciences, Dr. Tirso W. Saenz, and is intended to restore scholarly exchanges that were interrupted in 1969 when the U.S. and Cuba severed relations. 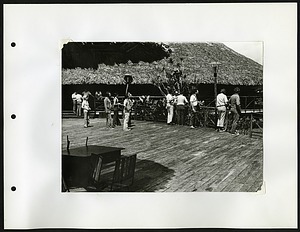 Visits to Cuba by four Smithsonian scientists (Porter Kier, Eugene S. Morton, James F. Lynch and Storrs Olson) in October and November 1980 marked the first projects under the treaty. The Carousel on the National Mall opens in front of the Arts and Industries Building. 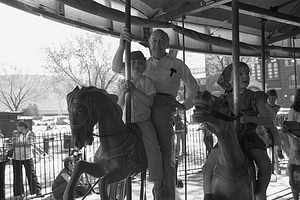 The carousel is operated by the Smithsonian Museum Service. Eighth Smithsonian Secretary S. Dillon Ripley participates in the opening. In effort to restore and reopen the Arts and Industries Building (A&I), G. Wayne Clough, twelfth Secretary of the Smithsonian Institution, announces the formation of the Arts and Industries Building Program Planning Committee on April 13, 2009. The Committee forms to generate an appropriate mission and function for the A&I Building and recommend program plans by June 2009. The committee is chaired by David K. Allison of the National Museum of American History. The new exhibit hall Highlights of Latin American Archaeology, opens with a special ceremony in recognition of Pan-American Day. The hall (Hall 23), located in what is now called the National Museum of Natural History, is the first permanent exhibit hall to be completely renovated since the building was opened to the public in 1910. 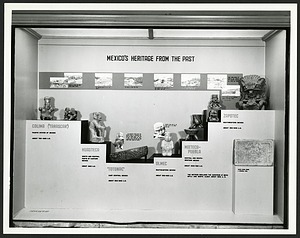 The renovation began in 1951 and "presents man's cultural development from his earliest known beginnings in Latin America to the high civilizations of the Inca, Aztec, and Maya." In a first preview of the Freer Gallery of Art collections, 175 pieces, out of the more than 4,000 comprising the collection, are exhibited in one of the great halls of the United States National Museum, now known as the National Museum of Natural History. The American art side of the exhibition includes paintings by James McNeill Whistler, Thomas W. Dewing, Dwight W. Tryan, Abbott H. Thayer, and Winslow Homer. The oriental art side of the exhibition includes Japanese paintings of the sixteenth to the nineteenth centuries; Chinese paintings, bronzes, sculptures; pottery from China, Japan, Korea, Persia and Mesopotamia; and glass specimens from Egypt. Two Giant Pandas, Hsing-Hsing (m) and Ling-Ling (f), arrive at Andrews Air Force Base on April 16, 1972 at 5 AM. The pandas are gifts to the United States of America from the People's Republic of China following President Richard M. Nixon’s historic visit to China. 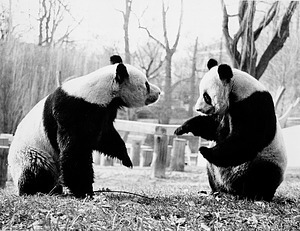 The pandas are officially presented to the National Zoological Park on April 20, 1972. Ground is broken for construction of the U.S. National Museum building, now the Arts and Industries Building. Concrete foundations are begun on April 29th and the brick-work of the walls on May 21st. The main walls will be completed by November 1st. 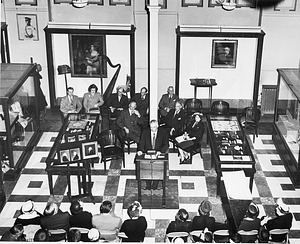 The ceremonies commemorating the opening of the Adams-Clement Collection are held in the west hall of the Arts and Industries Building. Speeches are given by Dr. Remington Kellogg, director of the United States National Museum; Dr. Alexander Wetmore, Secretary of the Smithsonian Institution; art historian Katharine McCook Knox; and General Ulysses S. Grant, III, president of the American Planning and Civic Association. 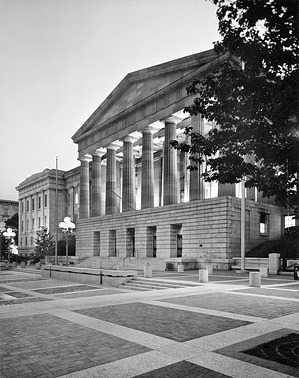 The collection was donated by Mary Louisa Adams Clement to the Smithsonian Institution in 1950. 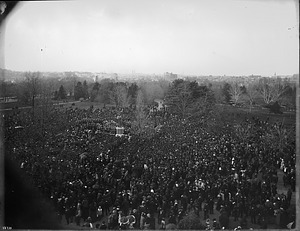 At a ceremony attended by many notables and approximately 10,000 onlookers, the bronze statue of first Smithsonian Secretary Joseph Henry is unveiled on the Smithsonian grounds. The date for the event is selected to coincide with the annual meeting of the National Academy of Sciences, of which Henry had been president of at the time of his death. The United States Congress, the Diplomatic Corps, the Executive Departments, and the public were also invited to attend. The Berlin International Fishery Exhibition opens on April 20. 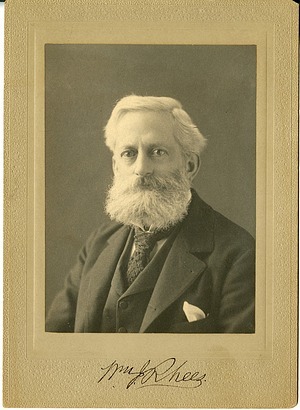 After receiving $20,000 in appropriations from the United States Congress, Secretary Spencer F. Baird appoints Assistant Secretary George Brown Goode as commissioner in charge of the exhibition displays. 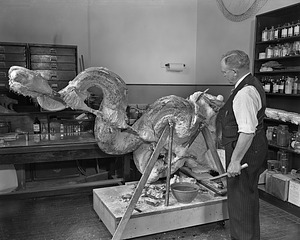 Given the short time for preparation, most of the exhibition comes from components of the Centennial Exhibition in Philadelphia, plus a display of improved apparatus for fish culture. 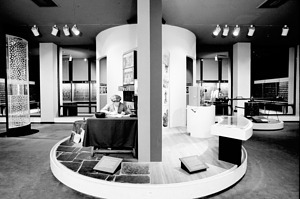 Though scheduled to close on June 1, the popularity of the display keeps it open until July 1. The U.S. exhibit wins the grand prize for the best display, a large vase beautifully worked in silver and gold. The new Great Ape House at the National Zoological Park opens to the public. 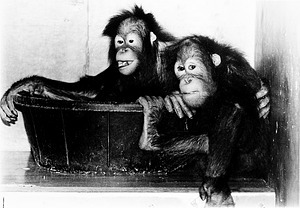 The exhibit is scheduled to house the Zoo's four gorillas and four orangutans. The animals are to be housed behind a protective glass barrier because apes are highly susceptible to human infectious diseases and must be kept away from the visitors. The Ocean Planet exhibition opens at the National Museum of Natural History. The exhibition celebrates the spectacular biological diversity of the oceans and examines the human impact on them. The exhibition will travel nationally through the Smithsonian Institution Traveling Exhibition Service through 1999. 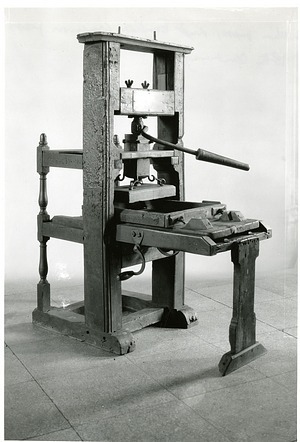 The United States Congress authorizes the Secretary of the Smithsonian, at his discretion, to exhibit the old Ben Franklin printing press and other articles from the United States National Museum of interest to the printing trades at the New York Printing Exposition to be held from May 2 to June 2, 1900. Smithsonian Chief Clerk William J. Rhees transfers "all the books and papers of the National Institute, which have been stored in the Smithsonian Inst. [itution]" to the Library of the National Museum. The National Institute for the Promotion of Science was a predecessor of the Smithsonian which went defunct in 1862. 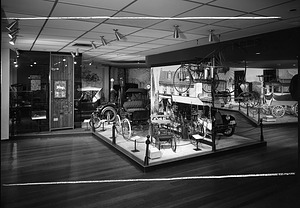 NBC's Today Show is taped in the Transportation Hall in the National Museum of History and Technology. 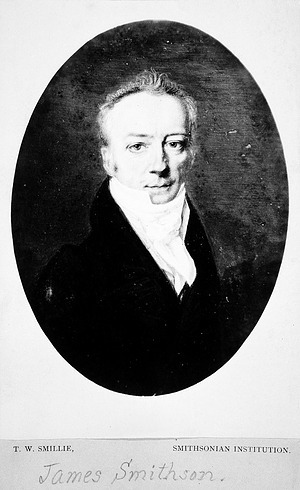 Under the name of James Lewis Macie, James Smithson is admitted as a Fellow of the Royal Society of London. His recommendation states that he is a gentleman well versed in various branches of Natural Philosophy, and particularly in Chemistry and Mineralogy. 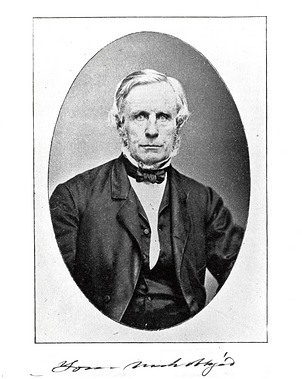 Smithson was nominated for membership by his good friend, Henry Cavendish, and four other scientists. The United States Congress approves a law to provide for a National Portrait Gallery as a bureau of the Smithsonian Institution (P.L. 87-443). 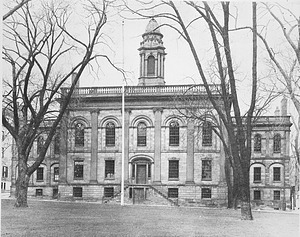 Due to a sudden resignation at Albany Academy, and through the influence of the school's principal and Joseph Henry's mentor T. Romeyn Beck, Henry was offered and accepted a professorship in Mathematics and Natural Philosophy. He would begin at the commencement of the following school year in September 1826. 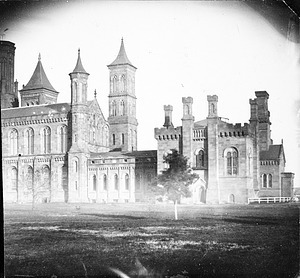 In 1846, Henry would become the first Secretary of the Smithsonian Institution. 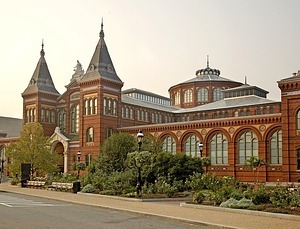 The United States House of Representatives, by a vote of 85 to 76, passes a bill organizing the Smithsonian Institution. The bill does not, however, pass the Senate. The final form of the bill, H. 5, was an amended substitution by William Jervis Hough of New York, that finally passed in August of 1846. Colonel Charles A. Lindbergh pilots the Spirit of St. Louis on its last flight from St. Louis to Washington, and turns it over to the Smithsonian. 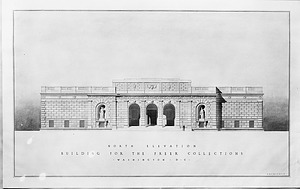 It is placed on public exhibition in the main entrance in Arts and Industries Building of the United States National Museum on May 13, 1928.